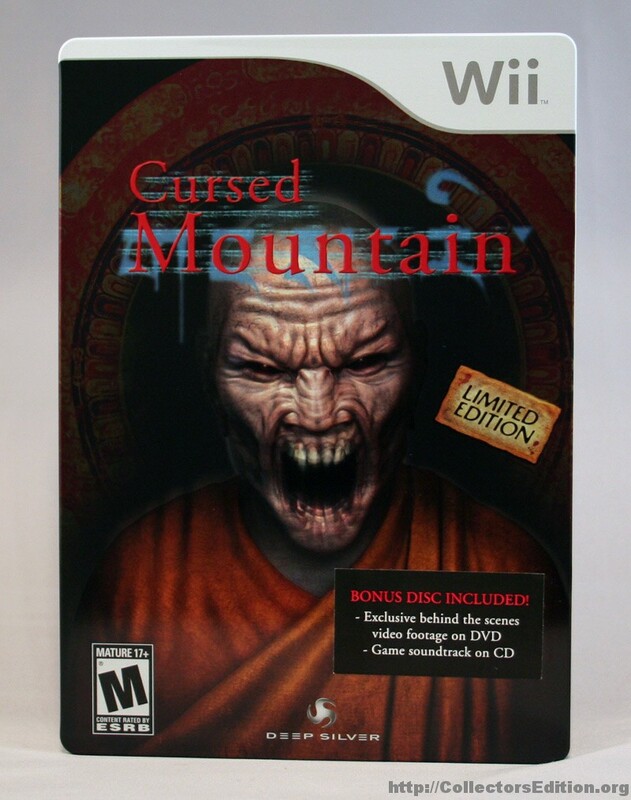 The Limited Edition of Cursed Mountain comes in a SteelBook case and includes a 2-sided bonus disc. 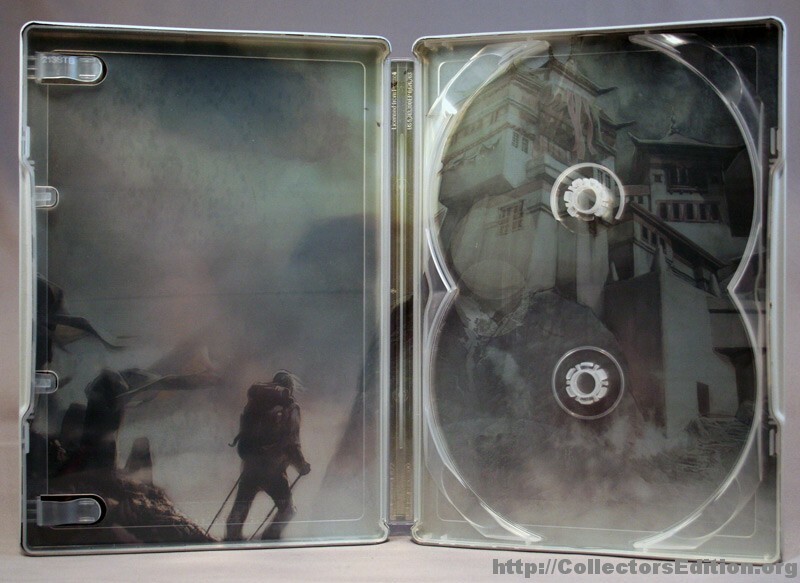 Side 1 is a soundtrack CD with 15 tracks of in-game music, side 2 is a 5-part “making of” DVD. 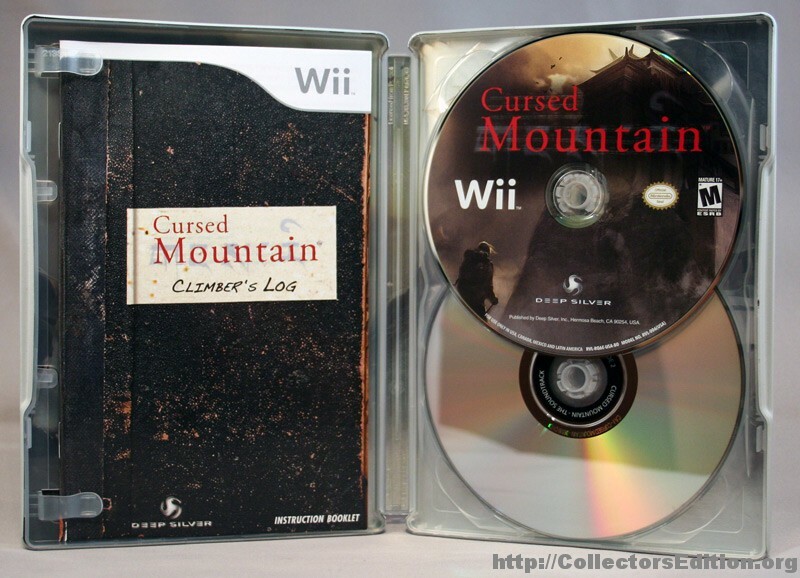 This entry was added to the database on Tuesday, August 31st, 2010 at 8:38 am by Michael Pica. 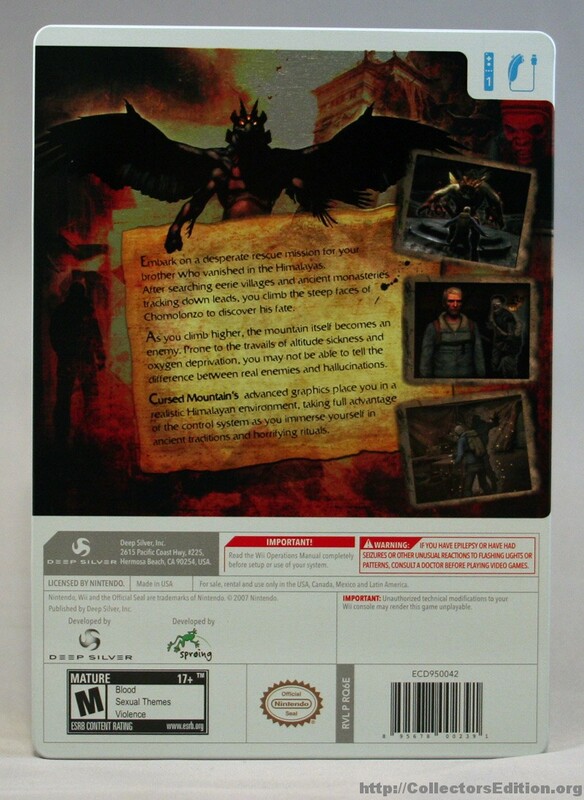 This information was last updated on Sunday, September 19th, 2010 at 1:43 pm by .